This month the JigUFacturer Design team for Brenda Schweder’s Now That’s A Jig! 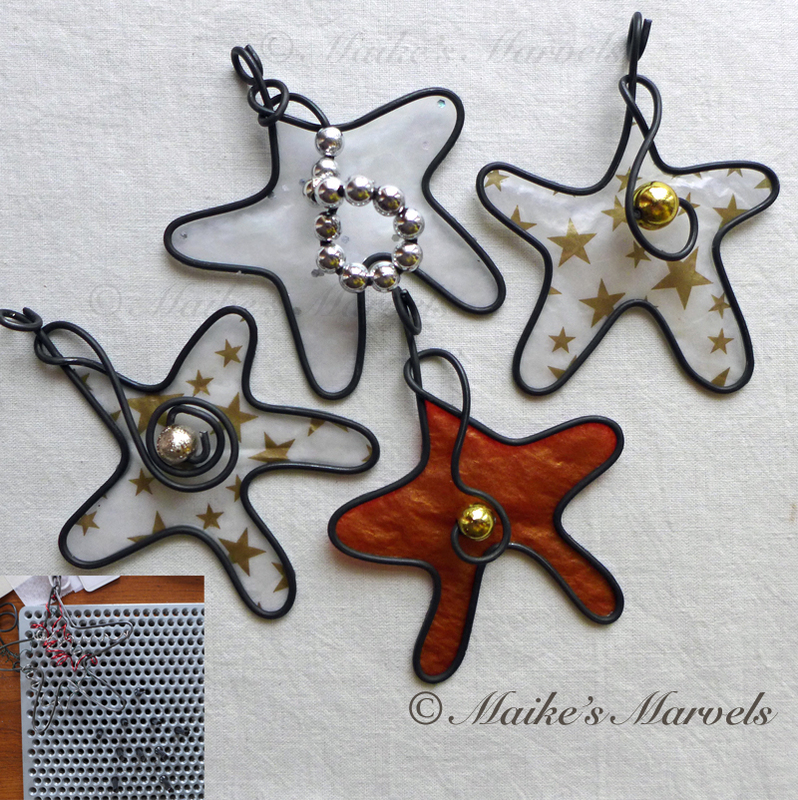 was challenged to make holiday ornaments. As you know this is kind of my jam. 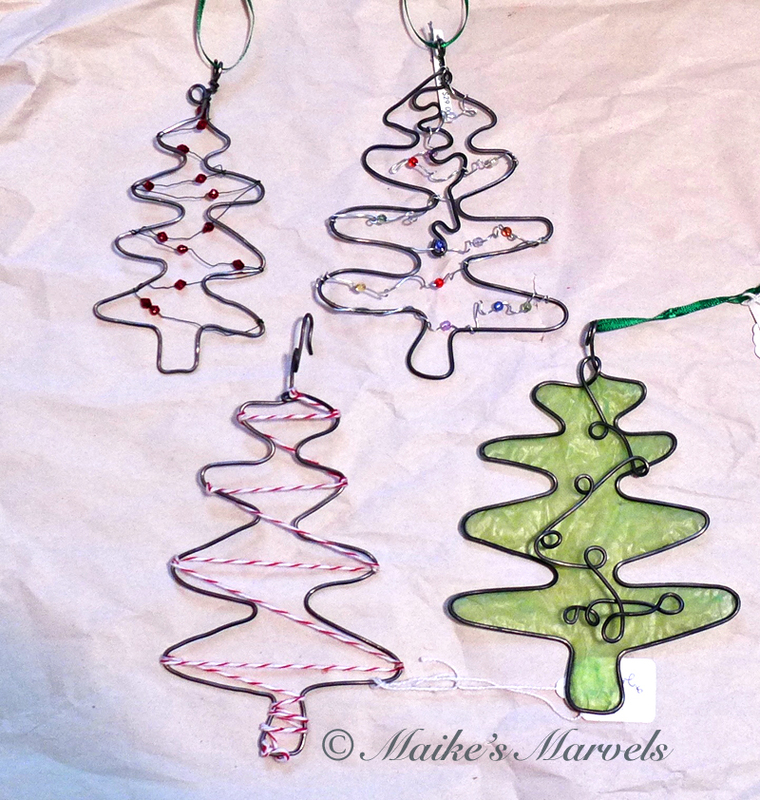 I started making ornaments in 2013. 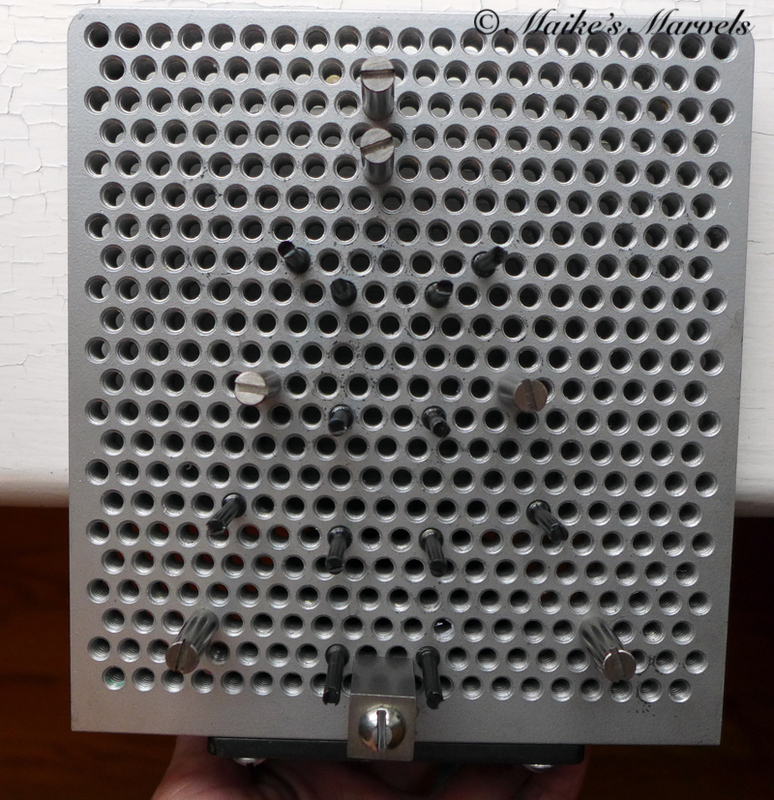 Initially I was freewheeling all the designs with pliers, but when I saw that Brenda Schweder had developed Now That’s A Jig!, I knew my frosty-making would be ten times easier. Then she helped me template the Angel design. 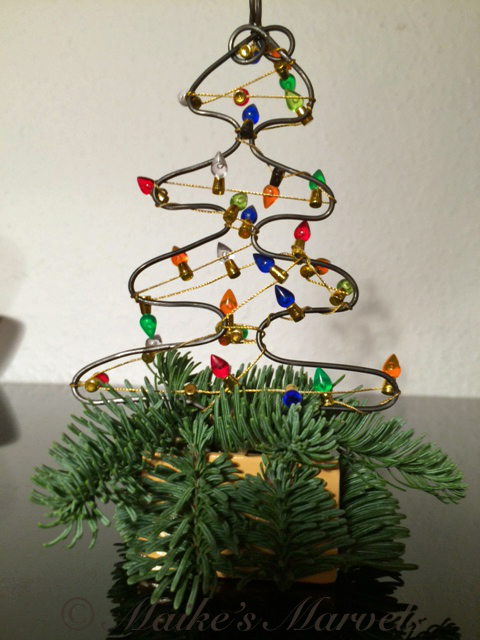 This year, I revisited my old star and Christmas Tree designs to see if they were jiggable. 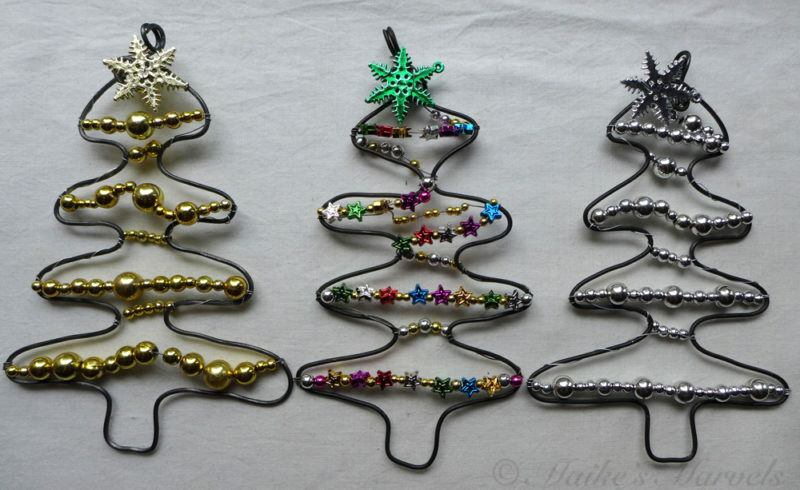 For the tree I needed extra pegs, so I ordered the NTaJ! Peg Mix: Round (119070) to supplement the ones provided in the StartRKit. Brenda is having a big sale going on right now, with percentages getting lower each day until Christmas, so you want to get in on that action now. I set up the Now That’s a Jig! 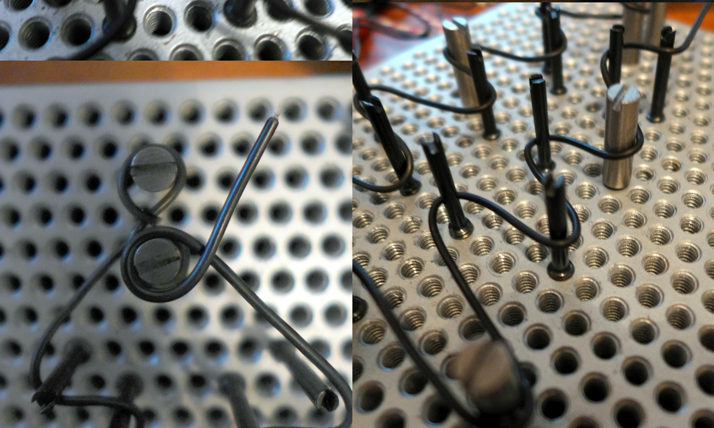 with the extra pegs, and started fiddling. 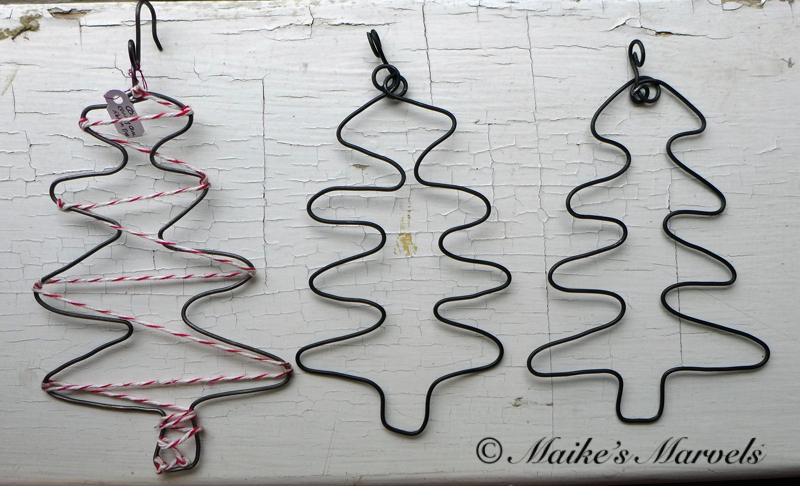 The now-sold candy cane tree was the original, and the next two were the first tries. You can see I had to make some adjustments between one and two. Soon I figured out the best setup, and I made a few extras. 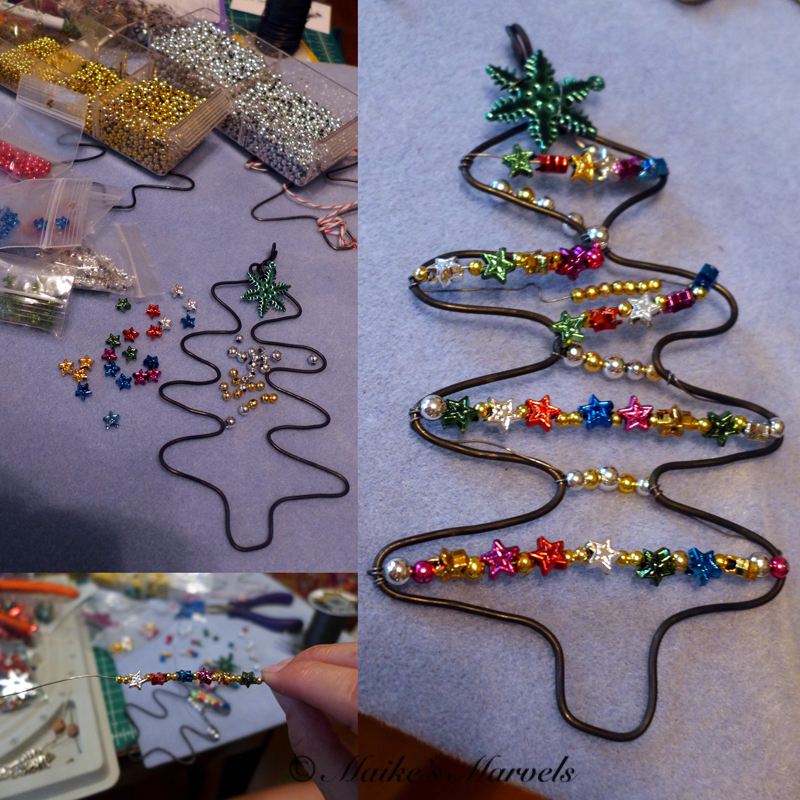 Then I started embellishing them with beads. This one is my counting stars tree. I made a few variations: gold, rainbow and silver. 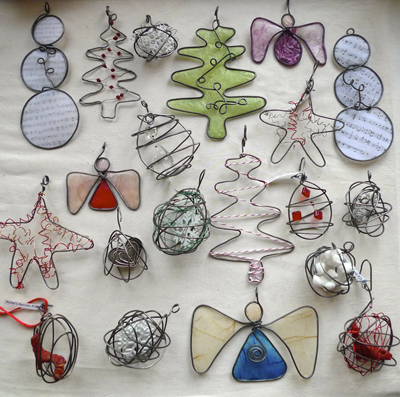 These will be at the Bucktown Holiday ArtShow this weekend. I also put one in the newsletter with mini Christmas Lights. It was a very fiddly project and I didn’t want to sell that one. But then my aunt emailed about it and I was thrilled to send it to her and keep it in the family. 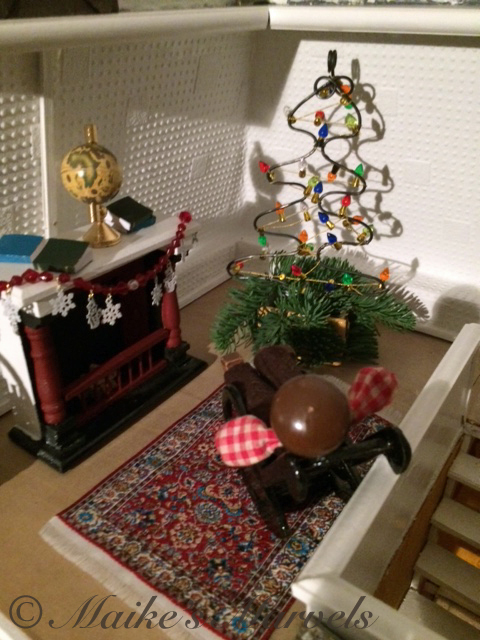 She placed it in her doll house where the dolls are now admiring it while they ponder their next world travels. My cousin has a blog post about this lovely labor of love that I adored as a child. Check out the variety of templates you can get to start creating on Now That’s a Jig! My tree isn’t there yet, but it could be in the future. This entry was posted in Maikes Marvels Creations, Seasons and Holidays and tagged Beaded Trees, Brenda Schweder's Now That's A Jig!, dollhouse ornament, Jigging, JigUFacturer, JigUFacturer Design Challenge, JigUFacturer Design Team, MMStar, MMTree, Now that's a Challenge!, Now That's a Jig, NtAJ, ornament design, ornament making, Star Ornament, Tree ornaments.